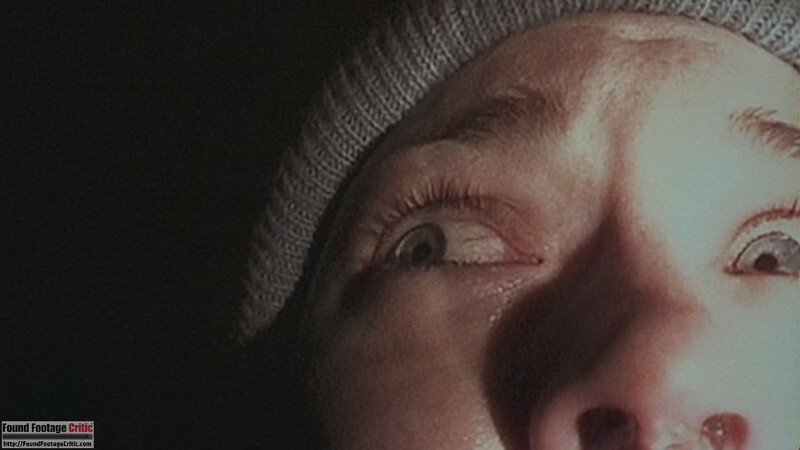 The Blair Witch Petition has garnered an unprecedented amount of support from fans spanning 50 countries and over 100 movie and horror-related websites. 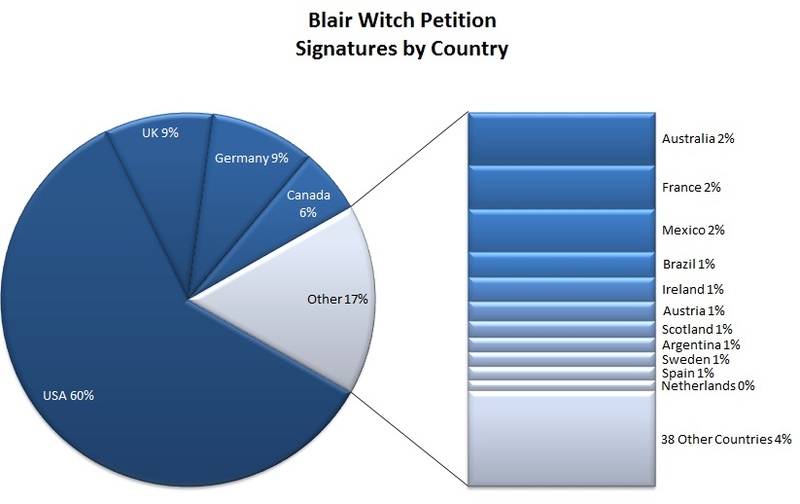 What follows are the results of the Blair Witch Petition. While fan support has been overwhelmingly positive, most surprising is the outpouring of support from the horror community, especially horror-related websites and support through social media, particularly Facebook and Twitter. Many horror websites have gone so far as to not just republish the petition, but write articles in multiple languages spanning over 50 countries from around thew world. 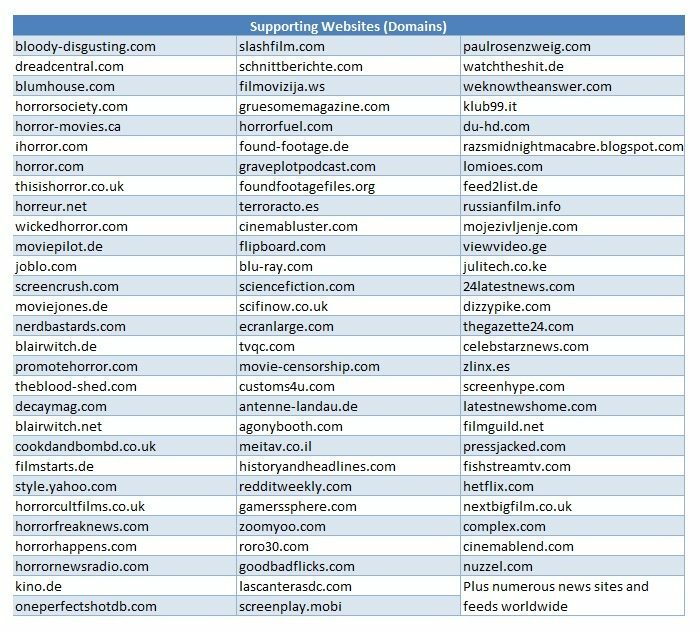 Below are the sites that we are aware of that actively support our efforts, and we’re learning of new contributors on an almost daily basis. 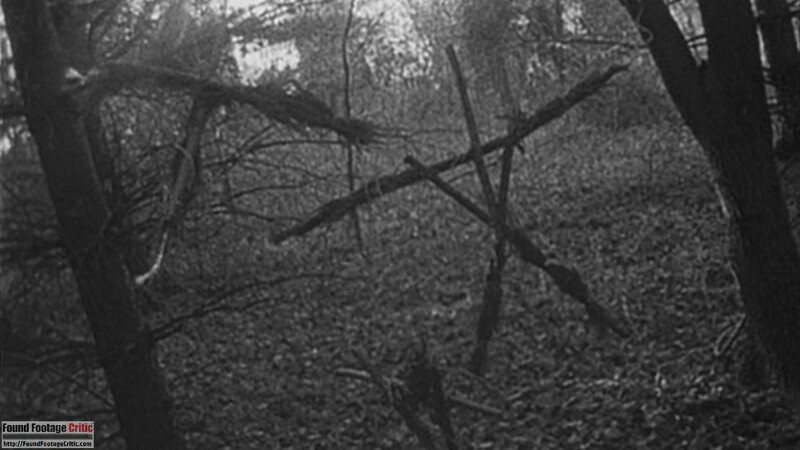 Special thanks go out to our friends at BlairWitch.net, the oldest continuously operating Blair Witch fan site. 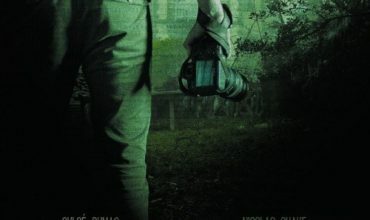 Our gratitude also goes to out to the folks at PromoteHoror.com for their massive marketing effort on Twitter. It goes without saying that we are eternally grateful to Eduardo Sánchez for his encouragement and support through this process. 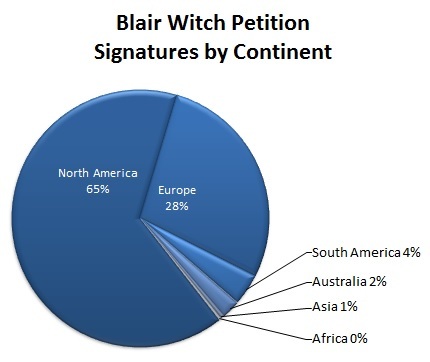 Support for the Blair Witch Petition has been a global phenomenon, spanning six continents. Unsurprisingly, the largest contribution in terms of signatures and coverage is North America with 65% of all signatures, followed by Europe with 28%. South America, Australia, Asia, and Africa make up the remaining 7%. 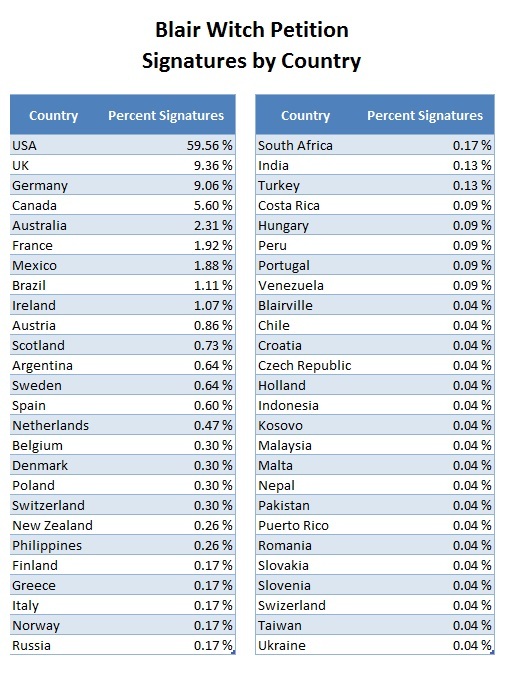 Predictably, the United States accounts for the vast majority of signatures with 60%, followed by UK and Germany with 9% each, and Canada with 6%. Some 49 additional countries (mostly in Europe) make up the remaining 17%. Since the United States accounts for 60% of total signatures, we provide a breakdown by state, as to how fan contribution is distributed. 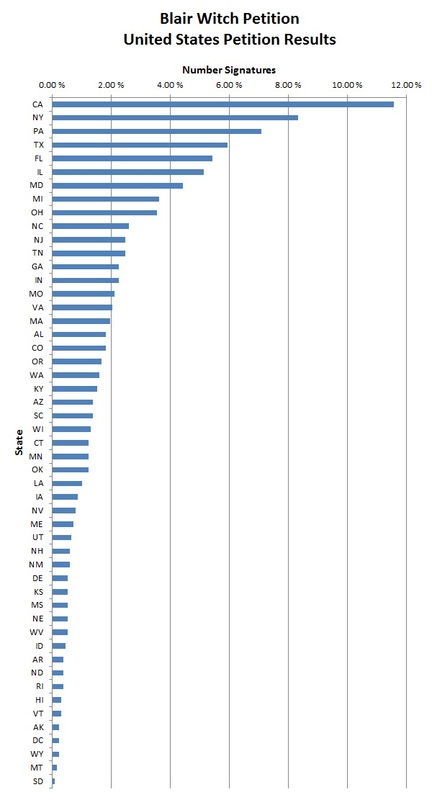 Surprisingly, residents of all 50 states and Washington DC contributed to the petition. Over 50% of the signatures originated from 8 states. California is responsible for the vast majority of signatures with 11.6% followed by New York with 8.3%, Pennsylvania with 7.1%, Texas with 5.9%, Florida with 5.4%, Illinois with 5.1%, Maryland with 4.4%, and Michigan with 3.6%. The remaining 42 states and Washington DC make up the balance of the signatures. 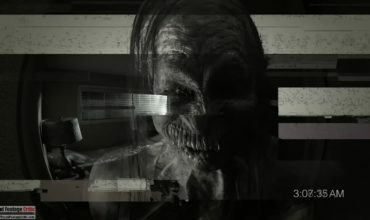 The Monster Project (2017) Answers the Age-Old Question: Are Monsters Real? 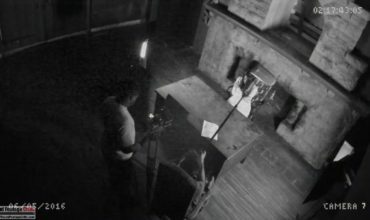 The Monster Project (2017): New Footage Released Ahead of Film!